"Design dungeons and plunder treasure!" Game Goal: Your mission is to steal as much as possible to become the richest thief virtual world. How to Play: In this platform game, mixing adventure and puzzle, you need to steal money from other players. For this, you must find out where they hide their money while protecting your own fortune. Game Options: Can be played individually or multi-player. Graphics: The scenery, which resembles a dungeon, has well-designed graphics that stand out especially by strong colors. Game play: Although confusing, it's quite unique and fun. 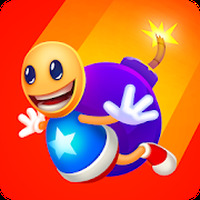 Controls: To play just use gestures such as tapping or sliding your finger on the Android screen. Requirements: It varies depending on the device. Installation requirements: A minimum of 55.50 MB of free memory space and Android OS which Varies with device. 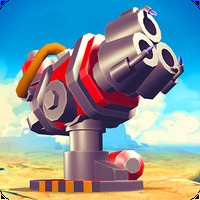 Ranking: The TOP 5 Most downloaded games in Defense Games category. It has over 80 different levels. The gameplay is confusing at first. 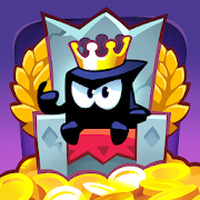 Do you like King of Thieves?